VITAE Academia Biomédica Digital vol.0 no.55 has been updated on Bioline. This issue features a number of articles including "Antibiotic Sales Regulation In Venezuela and Bacterial Resistance" by De Andrade et al. In this study, the impact of regulating the sale of antibiotics on bacterial resistance was determined. 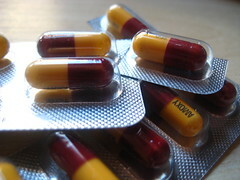 Results show that the consumption of antibiotics and bacterial resistance significantly increased following the implementation of the regulation. This study concludes by highlighting the importance of improving the education for health care professionals so that prescriptions are accurately prescribed. In the article "Stages of iron deficiency and iron deficiency anemia in children in the community Miguel Peña. Valencia. 2011 - 2012" by Barbella et al., the researchers aimed to evaluate the prevalence of iron deficiency anaemia in children attending the Centre for Integrative Medicine in Valencia, Carabobo. There are different stages of iron deficiencies characterized by increasing severity. Stage 1 is characterized by depleted iron stores, Stage II by low iron uptake to tissues and Stage III by iron deficiency anaemia. In this study the researchers highlighted the importance of diagnosing iron deficiency early, particularly at stage 1.